Even with the most advanced technological discoveries that unravel the marvels of the world, there still much to be left to be known. Take for instance the world’s most massive bodies of water. These depths hold the strangest phenomena, including these 25 unusual events. These incredible animals are not just fascinating to look at because of their small sizes. One of the surprising facts about these creatures is their mating procedures. Did you know that they are the only animal whose males bear the offspring instead of their female counterparts? The female deposits about 2000 eggs in the male’s pouch located on the latter’s frontal feature. 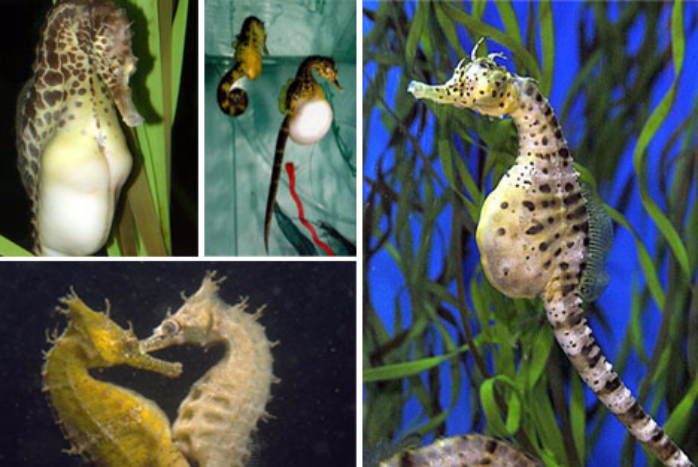 The male carries the eggs up to 45 days before giving birth. Once the babies are born, the female takes full responsibility for rearing its young. Out of a thousand born only five survive to become adults.